Styrofoam is a form of high density polystyrene where the cell structure is so small that when it is painted it looks like painted MDF. 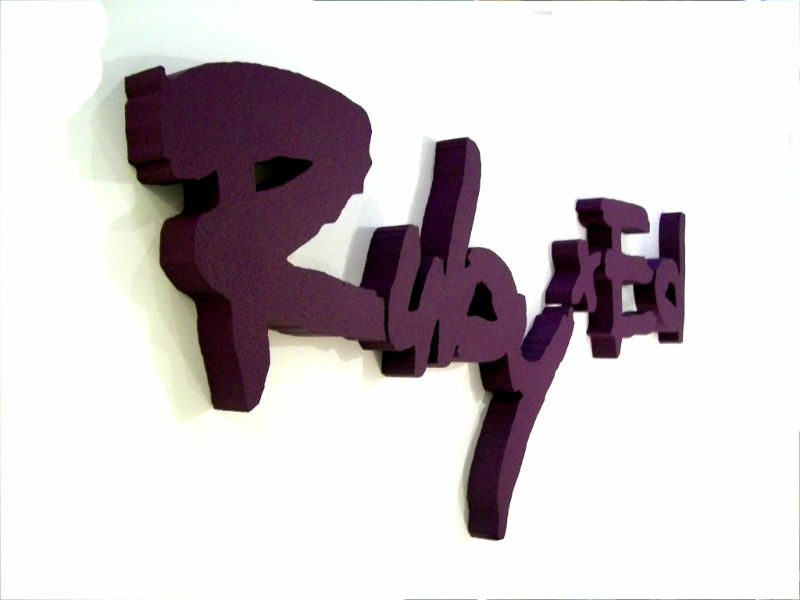 Styrofoam logos, ideal for reception wall displays and office wall logo displays. Styrofoam is ideal for the production of dimensional logos. Styrofoam is ideal for making characters for use in commercial photographic shoots. 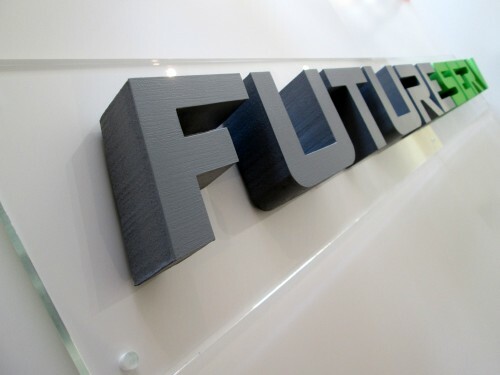 Volumetric logos for Office reception entrance signs. Styrofoam logo text for exhibition header panels. Styrofoam letters supplied to customer for fitting onto a business office wall with the companies logo in an orange and silver finish. 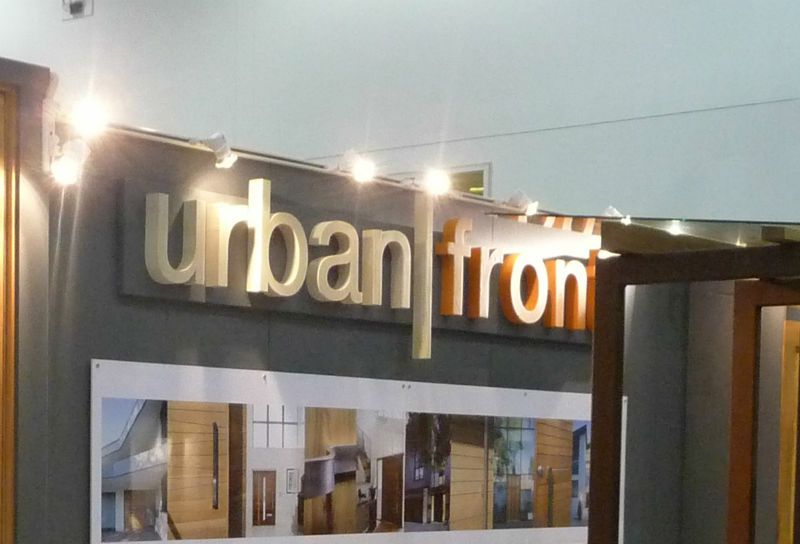 Product Logos For Shop Window Displays and In-Store.